This article is all about Adding a Dynamic Year in Selected Post Titles. I will share why you should Add Current Year in WP Post title using the shortcode. Along with that, I will also explain A Unique way to Auto Add Dynamic Year in WordPress Post Titles. Using the same method, you can not only add a year, but you can also add month/date and/or day to WordPress Title. So that you can change WordPress page title dynamically. But before digging into the details, I would like to ask a very simple question about your behavior on the internet. Have you ever observed your behavior to click on the Google Search Results Page? Did you notice any pattern for choosing a particular link or post? Hmm?? Any Guesses..??? Think about it for a second. Okay, let me explain why I asked you to think about your behavior. According to a study, humans’ eyes don’t read all the letters one by one, especially on the internet. Human eyes scan text for Highlighted Words, Numbers and Bullet Points. Out of these three; Numbers made the most impact on the human brain. Digits or figures easily slides into your mind and hit it hard. After that, our mind says ‘this message is important’. And this is how we choose to discover the same. 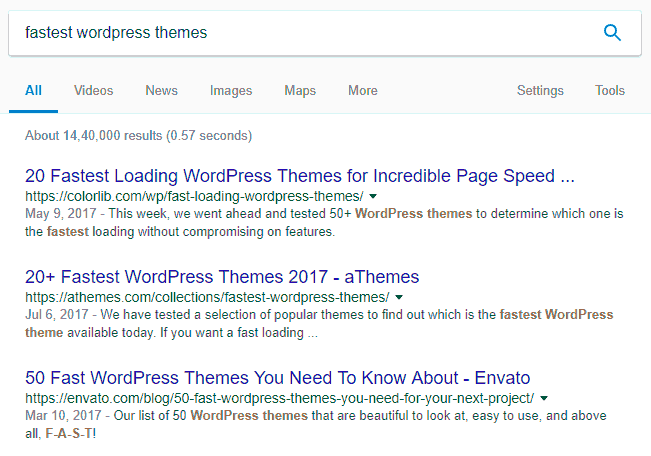 Now, let’s assume that you have searched ‘fastest WordPress themes’ on Google. And you get results as per the following image. Experts say that there are high chances that you will click on the Second (2nd) Search Result instead of First (1st). Though, both the search results’ title start with digits. But, the 2nd result also highlighted the Current Year and everybody wants to read newer information first. That’s why most of us would likely to click on the 2nd Search result. At this point, you may argue that I’ll also read the date on which the article gets published and then choose the link. I would say, Yes, this could be one of the deciding factors in this case, but most of the times there will be only one or two results with the current year or any kind of digit in the result titles. And the study further reveals that Article Titles with Digits or Years got more clicks in comparison to the Titles without Digits. I am hoping that now you have agreed with my point. So, we have learned that Digits and Figures are important and we should use the same in our Article Title. But how… what is the correct way out??? One can simply Add Current Year i.e. 2019 in the article title while writing it. Like I have added Year in this blog post related to Best Free CDN Providers for WordPress in 2019, Go check that out. But what about after one year? Suppose, you will get a Search Result in Jan 2019 with the Post Title mentioned 2018. Will you click on that search result? Well, for me, it depends. My first preference would be any other latest search result instead of last year’s result. And, if I am not wrong, most of us will do the same. People tend to give less importance to older information instead of new information. So, next year, I have to update the post title manually to stay in the race. Right?? What if, your post title change automatically, and displays the current year instead of the old year. How about adding a Dynamic Year in Post Title…??? or Add Current Year in WP Post title using shortcode..?? 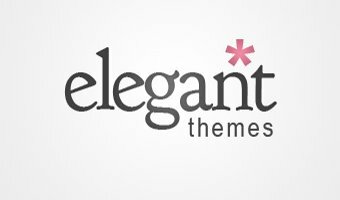 or change WordPress page title dynamically..?? That would be awesome… no…?? Hence, here I am sharing How to Auto Add Dynamic Year in WordPress post title using the WordPress post title shortcode method. These steps will help you to change WordPress page title dynamically. Also, Activate shortcode for Yoast SEO Title and Meta Description (optional, if you are using the Yoast plugin). Now, add Current Year in WP Post title using the shortcode. The above-given code adds a filter to the_title WordPress Function, which allows you to use the shortcode in WordPress Title. Now, we’ll create a shortcode to display the current year dynamically. The process to use the shortcode in Yoast Title and Meta Description is similar to the use of shortcode in WordPress Post Title. Add the following code in function.php to do the same. Now, let’s learn how to add dynamic Year/Month/Date/Day in WordPress post/page title. Alright, now add this shortcode [year] in your post title and it will auto add Dynamic Year in WordPress Post/Page Titles. If you want to add the day and month along with the year, please use the modified code below. Similar to the above-discussed functionality, you can also add a dynamic year in WordPress Copyright. Use the following code to add WordPress copyright year via shortcode. I do Auto Add Dynamic Year in WordPress Post Titles on various blogs using the shortcode in WordPress Post Title. Do you use this trick on your WP blog? or you might find this information useful and plan to give it a shot. I would recommend you to go ahead and give it a try. You can also modify this code for the customized shortcode you want to use in Post Title. Because the possibilities here are endless. Do let me know if you face any issue to Add Current Year in WP Post title using the shortcode. I want to be able to add, in addition to a year, also current month. Also I want to be able to append the year only to the post from certain categories. How do I do that? I have modified the code as per your need… use the following code to display Current month and year (Feb, 2018). You can use the is_category to display in certain categories. Hi Which shortcode will be used to show month and year as you use [year] in the above post I want to show month and year in my post title. You can use the current month with the year. Here is the modified code. I wonder that changing post tile manually affects Seo badly or not. For example I have XYZ 2017 and want to make it XYZ 2018. If I want to make it manually I will go to post in dashboard and just make 2017 => 2018, right? I want to ask you one more question. What about if I remove the year? What happens then? It totally depends upon what you are changing in the post title. Changing year in the post tile manually or automatically should not affect SEO. Hi, I know this is not at all what you were going for in this post, but how would you change this to show the static date that it was posted? I’m trying to crib together posts that name themselves using the date in the title in an automated post. I’m guessing the command to change is “current_year” but don’t know where to go from there. Great! Thanks for improvising the snippet. Is there a way to display current year also in the meta description of post/page? How will the code look like? Is there a way to display current year also in the meta title and meta description of post/page? How will the code look like? Add the below code with the snippet. It will allow you to use shortcode in yoast title and meta description. Can I use this method for the standard page? I’d like to automatically update the year within the text on the standard page. Really cool stuff. It was very helpful. I had another query though. What if we wanted to add dynamic day which changes automatically from what is defined for a specific year. Hey Sushant, You can use the current date with month and year. Here is the modified code. Thanks for the great code guys! Sorry for sending 3 posts. Hey Sam, Your code seems fine and it should work. The only problem here is, the single inverted comma you are using in your code is incorrect. use ( ‘ ) instead of ( ‘ ). Copy the code from the post, it will work. And always use a code editor to edit any code, instead of any text editor, to avoid such mistakes.